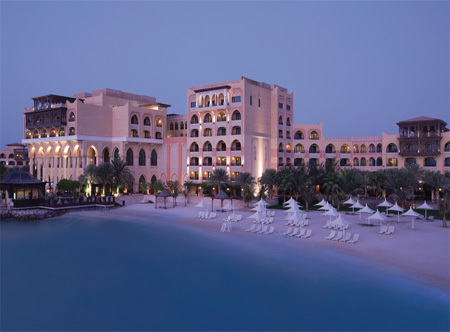 This unique gem lies along a stretch of private beach overlooking the strait separating Abu Dhabi from the mainland. 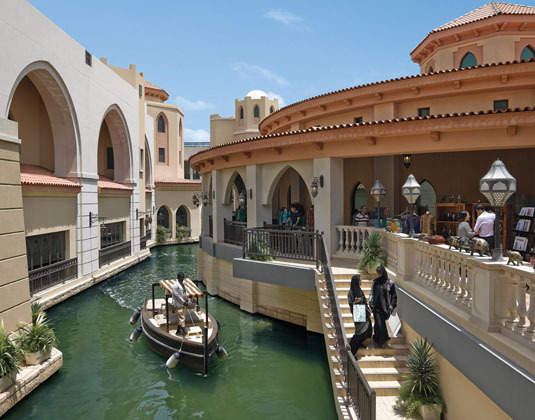 The hotel is connected by a winding waterway where traditional Arabic boats (abras) leisurely meander through the verdant grounds to the hotel souk with its enticing array of shops. 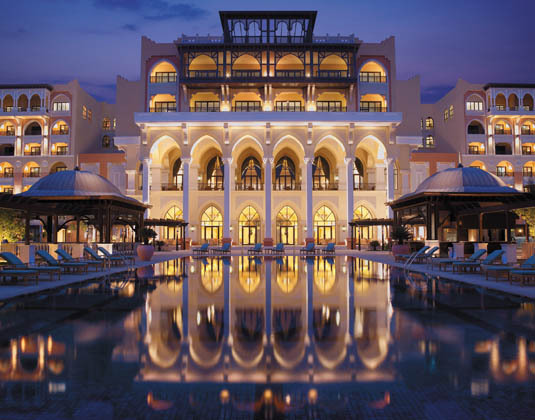 Luxurious hospitality, an impressive variety of facilities and some of the finest restaurants in Abu Dhabi await you at this "destination within a destination". 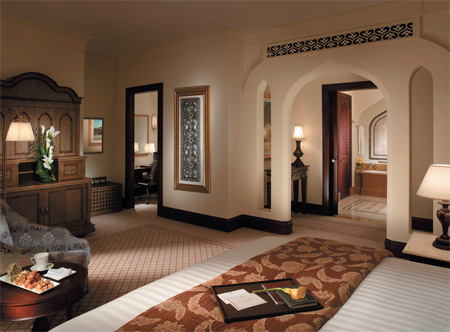 In deluxe rooms with air-conditioning, bath and separate rain shower, DVD, mini bar, safe and private balcony or terrace. 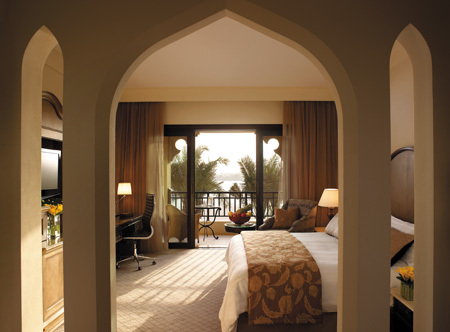 Executive garden rooms with private terrace for direct access to the pools and beach * more spacious premier rooms * Horizon club rooms * executive suites which offer a separate living and dining area. 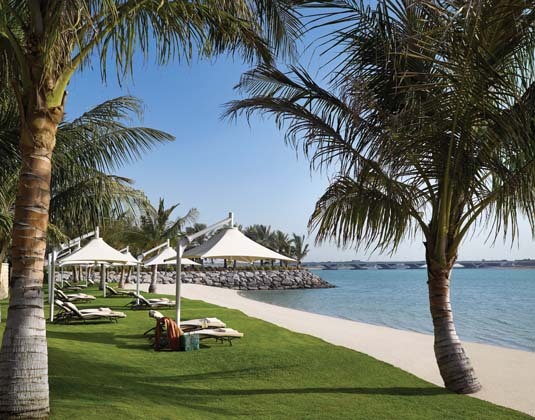 10 minutes from Abu Dhabi airport. Early booking room discounts up to 20%, FREE half board, family and honeymoon offers: Available on selected dates throughout the year. Please ask for details.